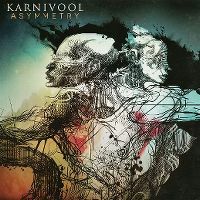 Congratulations to Perth band Karnivool for achieving the #1 spot in Australia. 'Asymmetry' is a solid follow up to their 2009 album 'Sound Awake'. The vocals from Ian Kenny are quite haunting at times, and works well as a Progressive/Alternative singer. The song writing takes the listener on a journey to a deep and mystical place. The guitar work is brilliant, from various riffs to solos. But what is a dominant feature of this album is the odd drumbeats, which can be seen in nearly all of the songs (not your typical 4/4 Time Signature). My favourites from the album include 'Nachash', 'A.M War', 'We Are', 'Sky Machine', and 'Alpha Omega'.